We polled analysts and people at the top hosting companies and asked them what they would ask if they were shopping for a host. Here's what they suggested. Do you host spammers or adult sites? Picking a shared host is like moving to a new town: you may have no idea who your neighbors are until it's too late. And if you're sharing a machine with a spammer or other miscreant, there's a chance that whatever trouble comes down on his head could land on yours, as well. For example, if your host's IP address range is on a permanent spam-block list, your outgoing e-mail might get blocked, too. Before you pick a provider, casually inquire about its attitude toward bulk e-mail and adult sites, suggests Chris Kivlehan, sales and marketing manager for INetU. If the provider seems amenable--that is, it takes money from spammers or pornsters--move on. Can the service grow along with my business? Today, you're just two guys in a garage; tomorrow, you might be the next Google. But moving from one host to another can be a real pain, so make sure that your solution is scalable and can grow along with you, advises Rawlson King, contributing editor for the Web Host Industry Review. If you're able to move from a shared to a dedicated server and keep the same provider, you're golden. Can you handle fluctuations in traffic? Like most stores, some e-commerce sites are seasonal--traffic will spike near holidays but remain relatively consistent the rest of the year. If this describes your site, consider negotiating a service-level agreement with your host that lets you expand bandwidth during particular times of year, advises Rudy Pataro, chief technology officer for Fry. Many companies sell hosting services, but they don't always support them. In some cases, resellers handle level 1 support calls--basic problems that can often be answered by a low-level techie--but pass the more difficult level 2 and 3 calls on to their own hosting provider. The handoffs aren't pretty, says Christopher Faulkner, CEO of C I Host, which is why his firm handles all support calls for its network of 8,000 resellers. Who's really running the show? A slick-looking Web site can make a fly-by-night operator can look as professional as a big-time hosting organization. The easiest way to tell who they really are is to pick up the phone and call, says Jim Collins, chief marketing officer for Affinity. If you get an answering machine--or if the same person picks up the sales, tech-support, and customer-service lines--they may be too small-time for your needs. Will you be around next year? Though the big hosting shakeout happened a few years ago, some companies are finding it hard to survive in the hosting market even today. You don't want to commit your firm's online future to a company that's going to bail on you in six months. The key question is how stable the host is, says Lanham Napier, president of Rackspace. He encourages would-be customers to visit their facility and check it out for themselves. What else can you do for me? Ultimately, a host should provide more than an Internet connection and a place to stash your Web site if you are out to build more than a simple personal site. The top providers can also help you design, build, and market your site. When you talk to a Web host, ask, "How are you going to help me succeed on the Web?" says John Lally, VP of marketing for Interland. 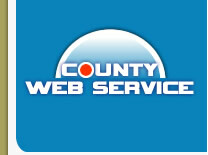 "The Web hosting company should be your partner," says Lally. "They should have some skin in the game."